The United States and the United Kingdom co-hosted the first Global Forum on Asset Recovery (GFAR) in Washington D.C. on 4-6 December 2017, with support from the Stolen Asset Recovery Initiative (StAR), a joint initiative of the World Bank and UN Office of Drugs and Crime (UNODC). The forum focused on the recovery of assets stolen from Nigeria, Sri Lanka, Tunisia and Ukraine. The initiative is in line with efforts to implement asset recovery commitments at the 2016 London Anti- Corruption Summit where several countries committed to developing guidelines for the transparent and accountable return of stolen assets. 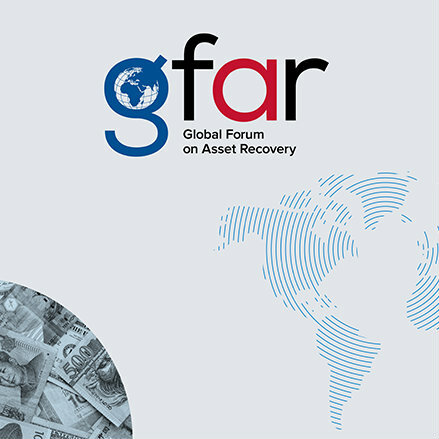 The GFAR communique highlights the key outcomes from the 3-day event that provided the opportunity for more than 80 bilateral and multi-jurisdictional meetings to make progress on significant asset recovery cases in the four focus countries. Particularly noteworthy, the Forum provided a platform for the signing of a significant new MOU between Nigeria, Switzerland and the World Bank, with the aim of returning $321 million of recovered assets from the “Abacha Loot”. This MOU is viewed in Nigeria as the fulfilment of asset recovery commitments and an important shift from rhetoric to concrete action. The returned funds would amount to 133% of the total allocation for capital projects in the proposed 2018 health budget of the Nigerian federal government. This represents vital development finance for the people of Nigeria if utilized for the most pressing needs of the poorest people. It has been estimated that the UN Sustainable Development Goals, which drive the agenda for ending global extreme poverty by 2030, will require $2 -3 trillion in investments yearly. Since developing countries will need to find ways to improve fiscal liquidity to make progress in achieving the SDGs, a key goal that must be taken seriously, especially by corruption plagued countries, is Goal 16(4), which aims to “by 2030, significantly reduce illicit financial and arms flows, strengthen the recovery and return of stolen assets and combat all forms of organized crime”. As such, the GFAR was welcomed by civil society from originating countries as well as by international groups because it provides a platform for securing resources that can be used to help address the needs of the poorest people in originating countries. One important call from the GFAR was made to the originating countries to ensure that reforms needed to prevent or make it extremely difficult to loot public resources are given the needed attention. This is central to winning the fight against illicit financial flows. For instance, the governments of Ghana, Kenya, Nigeria and South Africa should move quickly to fulfil their commitments to implement public registers of beneficial ownership information so that anonymous shell companies cannot be easily used to transfer and hide illicit wealth. However, these efforts must be complemented with actions to ensure that there is no hiding place for proceeds of corruption in destination countries. The communique and CSOs’ statement from the meeting made specific calls to both originating countries and destination countries to take concrete measures to address the underlying causes of asset theft, noting that the ease with which stolen money can be taken out of originating countries and transferred into the international financial system must be addressed. All countries that are attractive destinations for corrupt wealth have been called on to take immediate steps to close secrecy loopholes in their jurisdictions and ensure that facilitators of corrupt wealth are prosecuted and sanctioned. The US has been specifically encouraged to adopt public and robustly verified beneficial ownership registers for companies, trusts and property and to introduce and proactively enforce legal requirements to conduct proper customer due diligence. CSOs urged the UK to ensure that beneficial ownership information is readily available from its overseas territories and crown dependencies and that a beneficial ownership register of property is swiftly put in place, and that professional enablers who facilitate the laundering of corrupt wealth are prosecuted and sanctioned. One major failure identified by CSOs during the GFAR was the absence of data on asset recovery from all countries – both requesting and requested states. Asset recovery as a key development financing source must be accountable and transparent at all stages. It is important that all countries that were present at the GFAR commit to providing public, comprehensive and disaggregated asset recovery data, including the number of cases they have, the number of assets frozen, sanctions take n against financial facilitators, and the length of time taken to respond to requests for assistance. This will give countries the necessary information to estimate and hold all parties to account with the help of CSOs who are actively monitoring the issue and pushing for reforms in both the requesting and receiving countries.